It’s no secret that American students are lagging behind other industrial countries when it comes to science, technology, engineering and mathematics education. With several initiatives supporting and encouraging the education of today’s youth in the STEM areas, we are attempting to close the gap and remain a global leader. Through government funding, as well as educating students through private programs, we have an obligation to get children excited about science, technology, engineering and math; our future, and the future of America’s role as an innovator depends on it. At JMC, our future – not only as a company, but the manufacturing industry as a whole – depends on continuing innovations in the STEM areas. 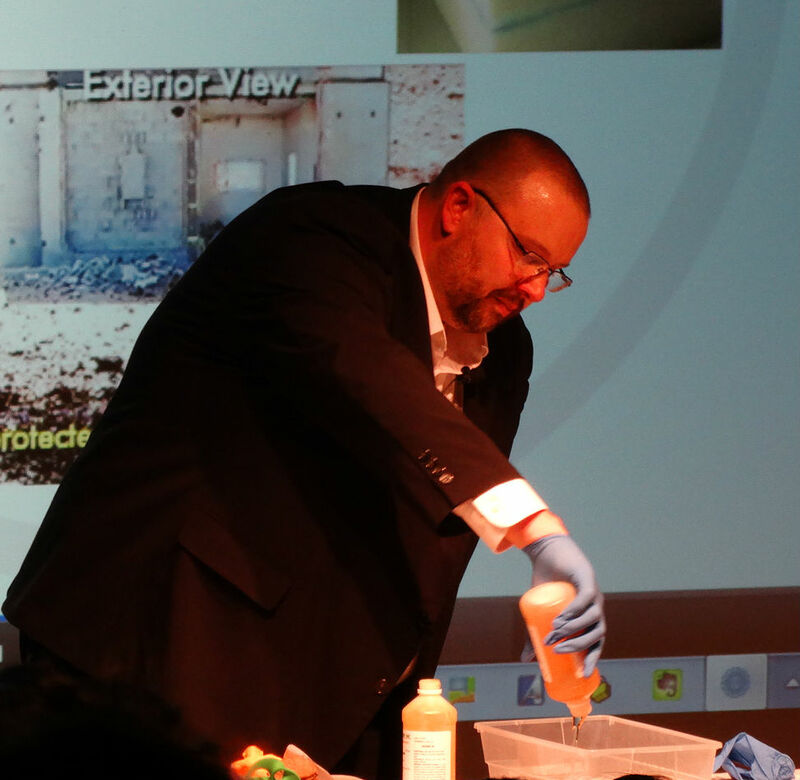 Recognizing the need to educate children about how a love for science can turn into a career, one of our own scientists, Dr. Michael Ziegler, led a presentation to a group of students at the Museum of Science and Industry, Chicago’s Jr. Science Café session on October 23, 2014. Geared toward groups of students, grades 4 through 12, the Jr. Science Café provides students the opportunity to meet and interact with STEM professionals. During a relatively quick conversation/presentation (usually lasting about 30 minutes), students learn how science has influenced an individual’s personal and professional lives. These sessions also offer students the opportunity to: engage in hands-on demonstrations and activities, help fuel scientific curiosity, and showcase the role STEM plays in actual careers. To learn more about a group attending a Jr. Science Café session, contact the Museum of Science and Industry’s customer service representatives at (773) 684-1414. Engaging and enthralling as they come, Dr. Mike captivated his audience of nearly 100 middle school students with his presentation about polymers and the significance they have in their lives. 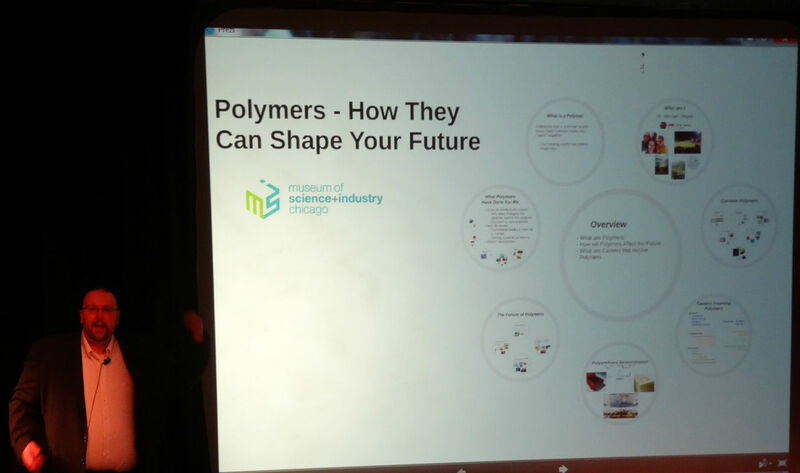 Providing the students with a little personal background to get started, Dr. Mike then dived into the wonderful world of polymers, making it easy for even the least science-inclined audience member to understand. If you don’t recall, polymers are molecules that form as a result of many smaller molecules joining together. The example he gave, multiple paperclips joining to create a string of paperclips, certainly made it an easy concept for the audience to grasp. 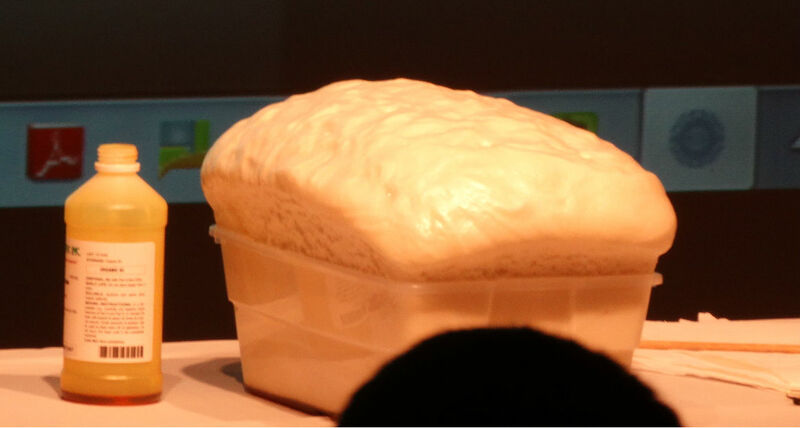 Moving on, Dr. Mike overviewed the future of polymers, which included its role in bio-based plastics, like plastic cups made from corn; its role in rapid prototyping and 3D printing; its use in sustainable energy products; and some medical applications of polymers. 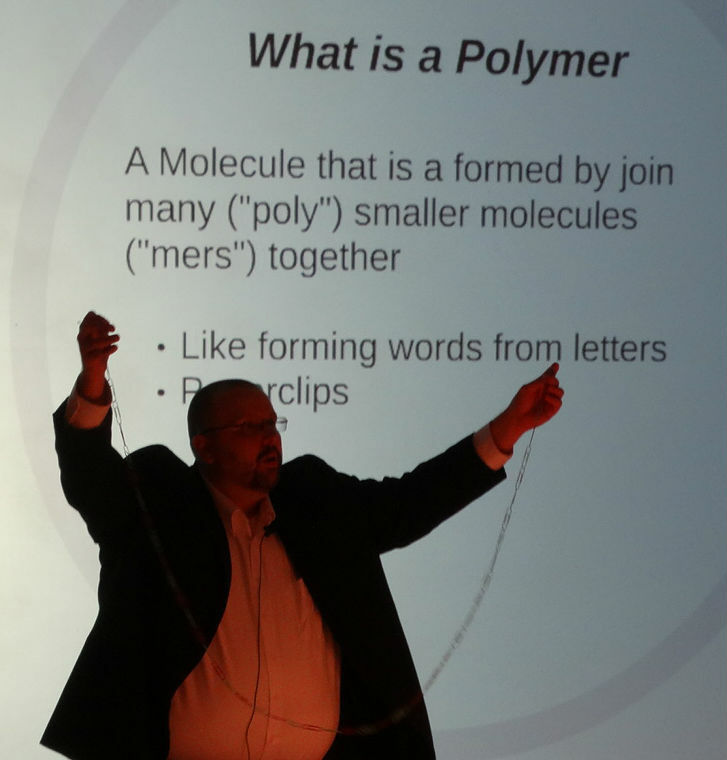 He challenged students to think beyond the obvious scientific career choices, shedding light on the many careers that involve polymers. Of course engineering and a variety of sciences involve polymers, but so do marketing, sales and manufacturing. His point: polymers are all around us. They make up our world and they allow us to create new, innovative things that’ll help solve problems and change the world for the better. Grooming the coming generations to take a leadership role in the global scientific community, education is and will always be everything. Beginning with the classroom, STEM education has to become something children want to pursue long-term. Science, technology, engineering and mathematics have endless applications, and it is our job to help make these known; thus solidifying manufacturing’s role in the economy and the country’s future. As a company that relies on innovations and scientific advancements, we acknowledge the space we can occupy by helping educate and excite students about the bright future of science and science-related careers.